As you already know, we only make reviews of the best available ICOs. This one is listed in top 7 ICOs, so you should definitely invest your time in reading our due diligence conclusions of MultiVAC and see if you agree with many others about the potential of ICOs solution and the quality of the team. The thing is that they are focused on solving the problems of blockchain platforms and decentralized apps, so they are described as ‘’a high-throughput and flexible blockchain platform based on trusted sharding computing’’, which is actually great description and you can found out pretty much all about them in just a few words. For the better understanding of this ICOs’ purpose, we will tell you they are the next-generation public blockchain platform designed for large-scale and complicated decentralized applications. Although you will read more about this in the ‘Solution’ section, at this point we will just say that their solution is highly needed in the blockchain today, which means, the could have nice success if funding process goes well. Now let’s see some general information and then move to solution description and tokens. For a better understanding of MultiVAC review make sure you follow most important information with ICOs whitepaper (use the link above to make sure it is the ICO). Problem breakdown and Solution sections of this review might seem not excited to read as the text after these sections, but they are a must read if you are into exploring MultiVAC ICO. First of all, MultiVAC is upcoming ICO that hasn’t still announced some very important information (like token sale, hard/soft cap, token price etc. ), but don’t let this stop you from your MultiVAC due diligence, we expect this information to be available soon, so you definitely won’t regret reading this review at any moment. 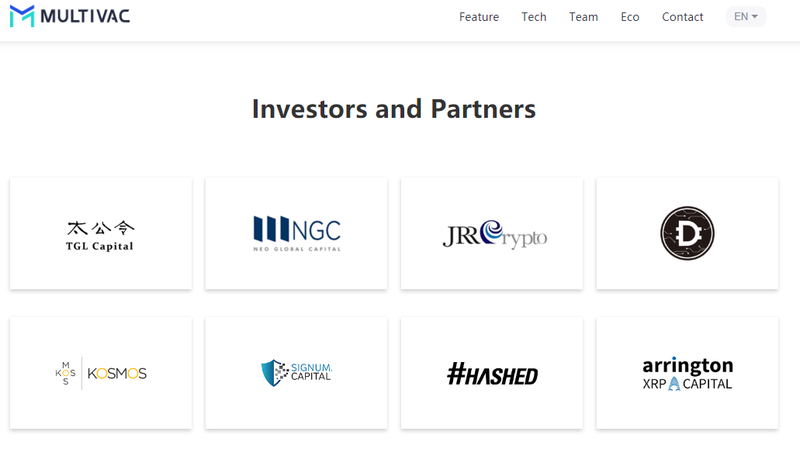 The newest information (published before 3 hours, August 3, 2018) is that Signum Capital has just become MultiVAC strategic partner, which means even though this ICO is fresh and new, many have already recognized their potential. Second, there is a FAKE MultiVAC LinkedIn account and the fake MultiVAC webpage might occur. Some other great ICOs, like ChromaWay ICO, are on a target of frauds, so don’t fall in that trap. Don’t be foolish to visit and/or invest in this ICO using any other link but the one that is 100% secure. 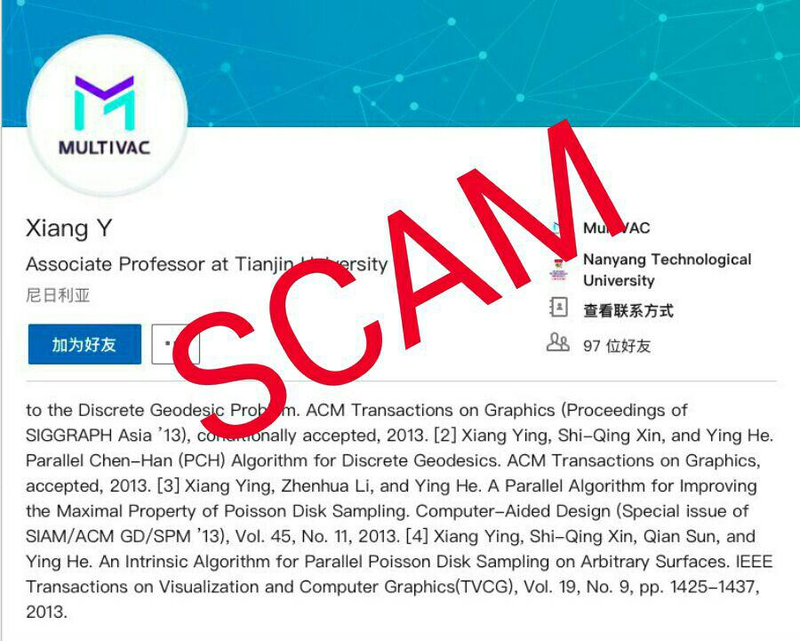 The thing is that the best ICOs are from to time to time victims of harming behavior of scammers, which means a) you must be careful with the link/URL through which you access the page, b) MultiVAC ICO is worth considering for investment. (We said considering, not investing. We’ll be able to say more after ICOs due diligence, so wait until the conclusion section to see what to do with this ICO.) To prevent falling into scammers trap, access to MultiVAC ICO only with secure link/URL of their website found on our webpage. ICO itself is not a scam (we confirmed it from multiple sources). 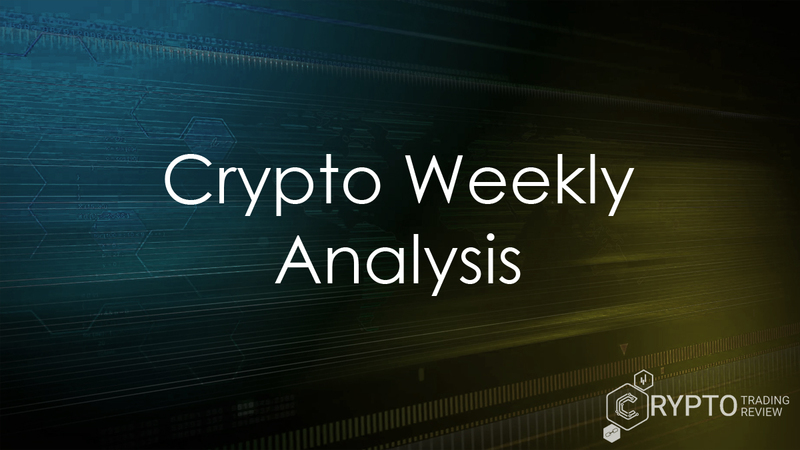 Let’s see what is that much interesting about this ICO and don’t forget to visit this review again in few days to see if there are any updates on currently missing information and conclusions in Pricing, Token and Bonuses section. Problem and Solution sections are actually very interesting when it comes to this ICO, and beside other elements of MultiVAC ICO that impressed us, these two sections are the most important and most interesting, in the same time. The impossible triangle that implies the impossibility for elements such as security, decentralization, and scalability to exist at the same time without lowering the power of any other element of a triangle, is the most important blockchain problem. For now, it is impossible to have all three elements operating without a negative effect on any other triangle element. Related to that, there are three problems that must be solved in order to solve the problem of an impossible triangle. The first problem is how to develop shards from network nodes for transaction and smart contract processing in a trustworthy manner, allowing the network to scale. The second problem is how to process transactions and update records using trusted shards in the use case of transaction processing, and third, how to verify the correct and honest execution of smart contract code by network nodes in the use case of smart contract processing. MultiVAC believes that the viability of blockchain for businesses today depend on whether or not blockchains can provide general-purpose computation, whole-network transactions, and network-wide contract processing in a scalable, expandable, and adaptable way. For that reason, they propose a trusted sharding model that solves the scalability problem, allowing for the unlimited accumulation of transaction power from nodes worldwide, e.g. scalability without limit. MultiVAC performs sharding independently for transaction processing and for smart contract execution, creating an incredibly supportive and flexible base-layer blockchain platform. DApps on MultiVAC can realize general-purpose computational business logic and can flexibly decide according to their own security needs how many nodes on which they wish to run their code. If you will successfully read the rest of the review, you will see more comments on this, which is actually some of the greatest reason why this ICO might have great chances for market success. In few words, MultiVAC ICO has the solutions for scalability, and for that purpose, they use trusted sharding computing. Read more about solutions in the following section. The things will be less technical, but still very interesting. Enjoy your reading time! MultiVAC ICO’s solutions for above-described problems are to create shards through a novel probability model based on Verifiable Random Functions (VRF), solving the problem of how to safely, efficiently, and randomly shard the network. 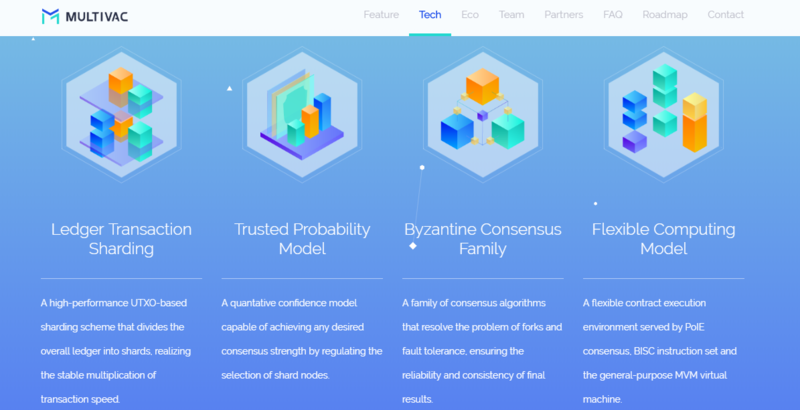 MultiVAC uses the Byzantine consensus family to reach internal consensus within a shard, achieving the construction of trustworthy shard-based consensus. They are preparing their solution for the blockchain for smart-contract deployment by designing an optimized virtual machine MVM capable of general-purpose computation, which is equipped with a special blockchain instruction set BISC, and which verifies the correctness of contract execution through Proof of Instruction Execution (PoIE). Look at the following images for better understanding. 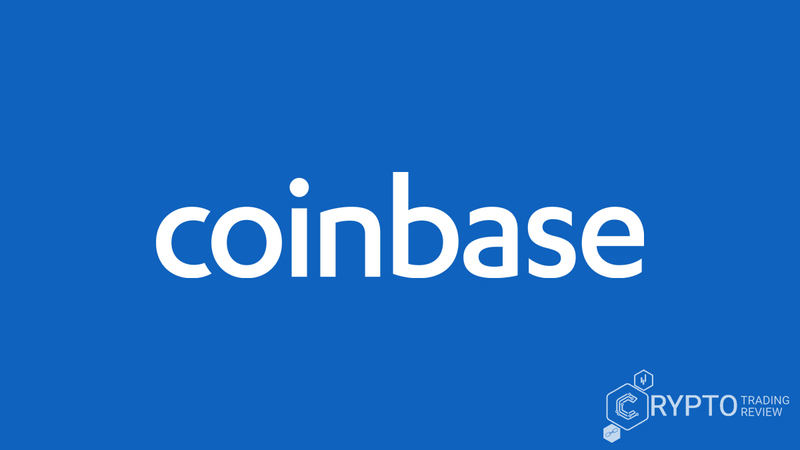 They are developing a computing model that will break the traditional booking framework, and that will redefine sharding and smart contracts. 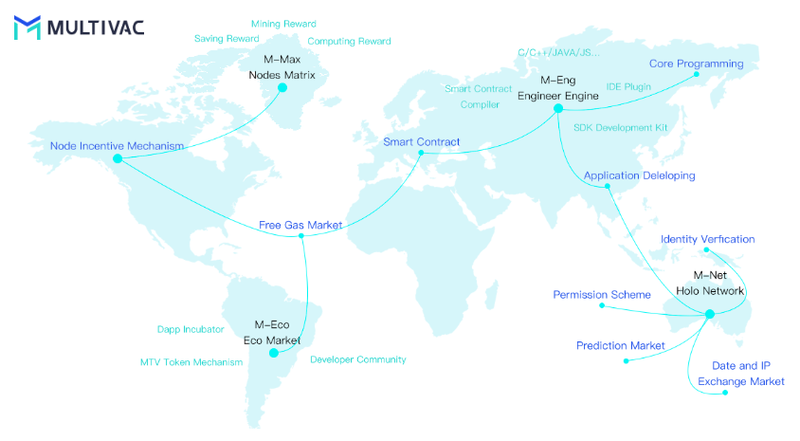 Finally, let’s see the MultiVAC ICO’s ecosystem. The ecosystem is presented in a truly simple manner so anyone can understand it. 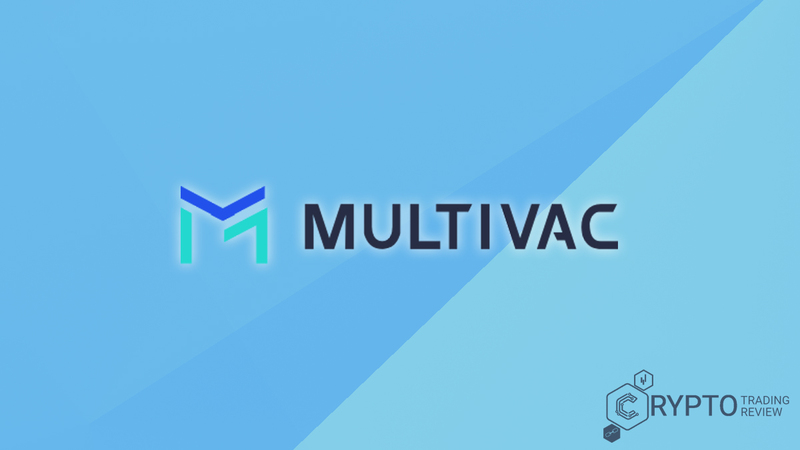 MultiVAC ecosystem refers to flexible computing and trusted programming leading in a DApps-outbreak era where spreads value directly. We will talk more about this in the conclusion of the review. For more information about the ecosystem you can look at MultiVAC whitepaper, we’ll just make a conclusion of it and will not go in further details with the technical side. There is no information about the token sale on their website so we checked their whitepaper to find anything interesting but it says nothing about it, as well. 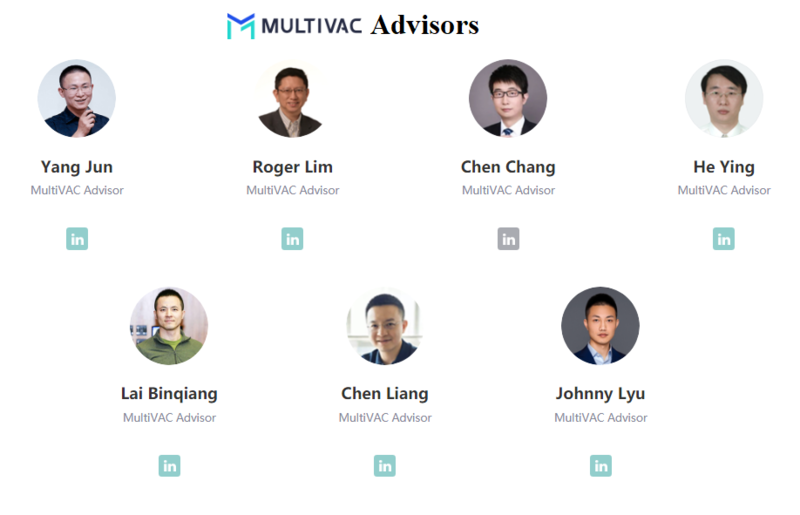 MultiVAC has a technical whitepaper, and no information about the roadmap, token metrics, token sale etc., so that kind of information will be available on their website. Still, the whitepaper is written in a simple manner so no matter if you understand ICOs or not, you will understand the whitepaper. Read it carefully to make sure you understand all about MultiVAC. Our suggestion is to subscribe to our notification button to receive information when we make any updates. There are rumors that MultiVAC has sold some tokens to private investors, but that’s a fake news indeed (not in a Donald Trump ‘fake news’ manner). For now, we only know there will be some fees for running a smart contract (something like Ethereum gas mechanism), but we expect some new information soon. As this is brand new ICO on the market they didn’t announce token sale information for now, nor we know their funding goal and soft cap for now. Therefore, we must focus on some other ICO elements like the team and advisors, hype, roadmap etc. MultiVAC solutions are not bad at all, and the problem they aim to solve is actually very important in the blockchain industry today, so if they succeed it would be huge think not just for blockchain in general but investors and ICO himself. As there is lack of some very important information make sure to bookmark this review and later come back to see if there are any updates (we recommend to do that at least once a week to make sure you do not miss anything important). Stay tuned and see the overall team’s quality and if their roadmap is good or they won’t be able to deliver what they promised in their whitepaper. You can see more about their purpose within ICO below their names. You will know more about them after you see the past projects they have worked on. Many of them still work with some other firms, like Google, Facebook, Pinterest etc. It is important to note that more than one team member comes from Meiutuan (like the MultiVAC founder and a lot of MultiVAC advisors), so the Meiutuan might be the key for predicting the ICOs capabilities within this ICO, which would help to make the better conclusion of ICOs future potential. Read more about this in the following lines. We will be short and relevant, so we will write some experience of founders and few other most important members and then just make a conclusion for you (keep in mind that we have researched each of them but here we are just making a short overview for you to save your time). Frank Lyu is one of three founders. He s technical director and data engineering expert of Meituan, the giant Chinese internet super-platform. If you will be exploring Meituan and run into information that in June 2018 they announced to plan 6 USD billion IPO, that’s fake news, as well. This is one of the most popular sites in China. Second founder, Shawn Ying, is Ph.D. in computing science and is an expert on parallel algorithms and general-purpose calculations. If you like to read some of his papers, you can search for over 20 papers in top conferences and journals such as SIGGRAPH. Claire Wang is the third founder, as well as a marketing director or Xinrenxinshi, and co-founder of Julixinfang. That is a nice experience, isn’t it? She created the first new-media and community brand in the vertical field of human resources in China, covering more than one million HR professionals. MultiVAC ICO has a lot of algorithm researches and R&D engineers. One of them is Pinterest and Facebook Architect, the other one senior engineer at Google Maps, third is technical director and senior engineer of Google Local Ads etc. Is it necessary to make a conclusion for their execution after all? Let’s see advisors and then finally the hype and the roadmap! Three of them has some kind of connection with the Meituan, like Yang Jun who is co-founder and vice-president of Meituan, Lai Binqiang who is vice-president and in charge of the IT, administration, purchasing legal and government relations department, and Chen Liang who is co-founder and senior vice-president. Last two are (both) co-founders of Renren and Taofangwang, with Yang Jun as co-founder of Renren. Chen Chang is the senior researcher at IBM and core developer at Fabric. He is the earliest researcher and promoters of blockchain technology. Once led the development of several blockchain service platforms. It seems like as further we go through ICOs elements, the better it becomes. Will the same principle continues in next sections of a review? Let’s see their website first. The website is designed very simply, but there is nothing that actually impressed us. It’s just like any other ICO website. Therefore, they listed up to 16 team members! 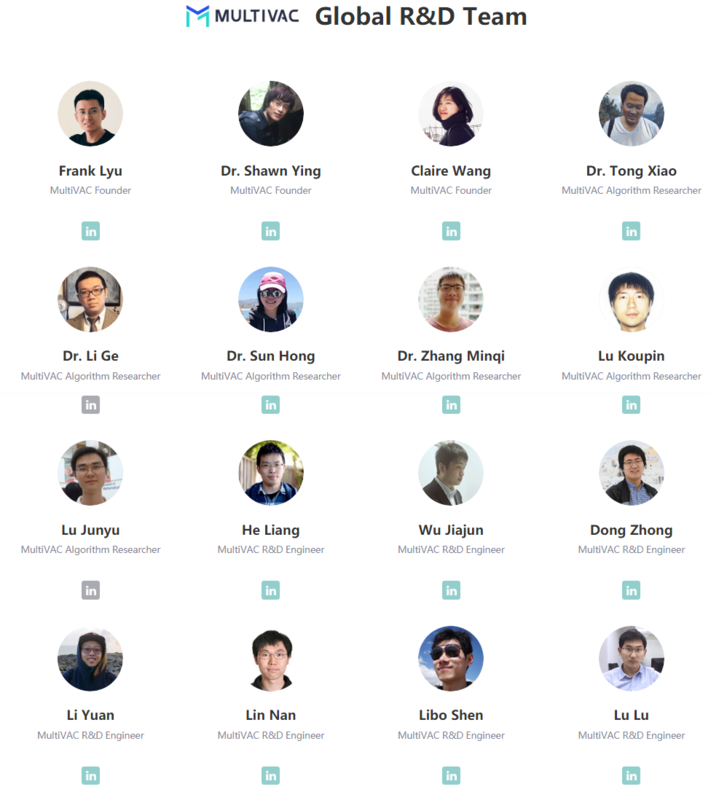 We’ve just published Agate ICO review where we stated that we are surprised to see such nice number of team members listed on their webpage, but MultiVAC almost exceeds them. The point is, all of them are available on LinkedIn. Some of them have very little information on their profiles, but the most important team members fulfilled their LinkedIn profiles, as a way of communication with the public. That’s great for an ICO. MultiVAC Community has 21.620 members on Telegram, and the MultiVAC Channel has 8.875 members. It is not a huge number, but if you consider the fact they are new and they don’t have all ICO important information at this moment, this number is actually great. Of course, if it continues to grow. Let’s see if that will happen by analyzing some other social networks. They are present at Twitter (5.139 followers) and are very active there, which means they care for relations with investors and media, so that is definitely huge plus for them. They are available at GitHub as well. Their hype is overall good, but it remains to see how and if it will increase after the announcement of token and other information. 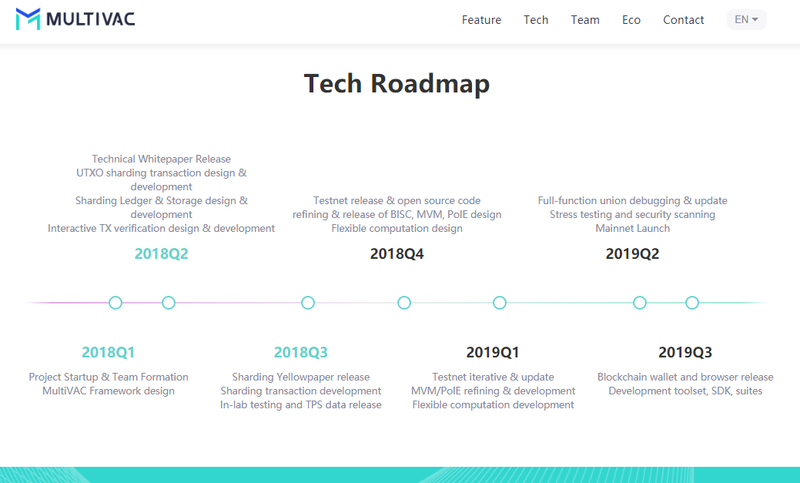 There is not much to say about the roadmap, except that it is simple and easy to read, no matter if you understand the technical side of their solutions. Just look at the following picture. What you can read from the roadmap is that at this moment we can expect yellow paper, development of sharding transaction and TPS data release. We assume that token sale will start at the end of Q4 2018 and the beginning of Q1 2019, and an announcement of token sale and price information very soon because their hype is good and are at the most popular ICOs these days. Roadmap deadlines are overall easy to accomplish and it is not too long, which means it is easier to predict and plan it more in detail. There are some important partners, which is great for ICO that was recently launched. Signum Capital is the newest partner and one of the most interesting ones. We’d like to know how this ICO funded their development up to this point (if it had some investments from big partners), but for now, that is unknown. They just said they didn’t sell any tokens for private investors (which differs from other kinds of investing’s before ICO, e.g. Agate ICO that had over $1 million before ICO). Still… we like these partners and investors and we bet there will be many more of them! There is no information about the use of tokens, but we will update this section when they announce them. Considering the fact that some of the most important people from Meituan work on MultiVAC, they obviously have the potential and knowledge of how to deliver the great product and to make end user satisfied with whatever their product is. When talking about their solution, this ICO is focused on R&D, which means solution development is based on research more than it is with other ICOs. With the great team that has experience in world biggest firms (Google, Facebook, IBM, Pinterest, etc.) they definitely have a knowledge and experience to manage this project until the end of ICO (if you skipped it, go back and take a look at the roadmap to see their plans) and most importantly, the knowledge of working on the fast developing industries and managing the quality of solution in cases when huge number of people suddenly becomes interested in their services. For that reason, we dare to say that with this ICO there will be no problems with solution launching. Solutions will be at the quality level they promised, or even higher. As this is currently one of the best upcoming ICOs, some are trying to turn it to their favor with fake LinkedIn profiles and some false rumors. To prevent falling into scammers trap, access to MultiVAC ICO only with secure link/URL of their website found on our webpage. ICO itself is not a scam (we confirmed it from multiple sources). Finally, their hype is good for a new ICO on the market, and many important investors and partners joined this ICO. The roadmap is not that long and is very simple to understand, and the same applies to their technical whitepaper, so do not hesitate to read the whitepaper, as well. Probably the most important thing is that their solutions results with multiple developers, which will lead to multiple apps, and the more apps are there, that means more users, and of course, more money/increase in cryptocurrency value. Overall, this ICO is a good opportunity for everyone who feels bad for not participating in Bitcoin or Ethereum while they were at their very beginnings. Make your own research of the development of Bitcoin and Ethereum and compare it with MultiVAC to see if there are some similarities. We will not give you any kind of promises, but this ICO has the real potential to grow into something huge.